The Japanese Imperial armed forces had been at war since 1931 in China and Manchuria. Their war in the Pacific is just the next step in asserting their leadership over the Asia-Pacific region. 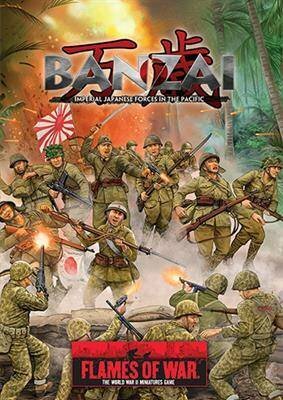 In a series of well-planned and executed campaigns in late 1941 and 1942 veteran Japanese forces quickly asserted their dominance in southeast Asia and the western Pacific, toppling the western colonial powers and taking control of these resource rich regions for the greater good of the Japanese Empire. • Confident trained to fearless veteran troops! • Extremely well prepared defenses! • Human bullets for stopping allied tanks!